Or view larger version. Untitled. 1906. Unknown photographer. Photograph. Collection of Oakland Museum of California. 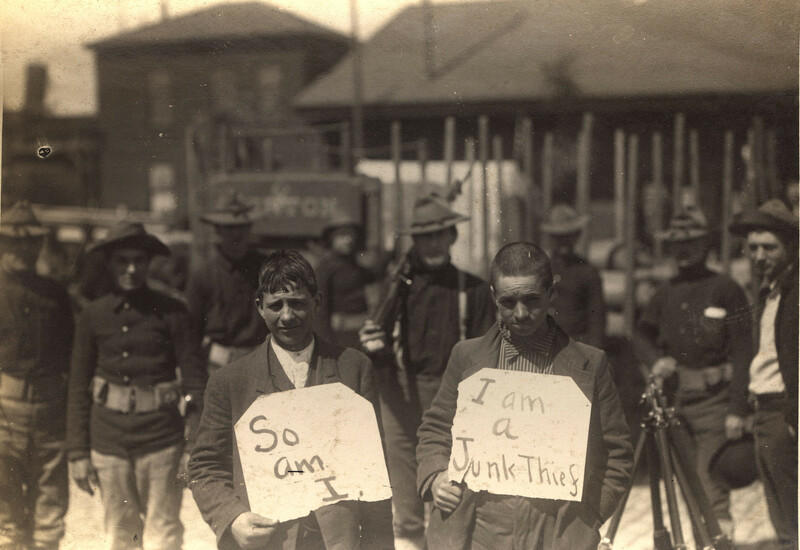 This photograph shows two men holding signs reading, “I am a junk thief” and “So am I.” Shown behind the two men is a row of uniformed men standing guard. These two men got off easy considering Mayor E. E. Schmitz, issued a shoot-to-kill order for anyone found looting after the 1906 San Francisco Earthquake and Fire.